What are Bargain Avenue's secret 'insider' bargains? Submit an insider discount or coupon and help others save. Click here to email us. Shh, our weekly best Secret Coupons! Save extra $8 off when you spend $80 on baby products, quote promo code BABY8OFF at checkout. Extra 5% off all your orders, enter promo code VIP5 at check out at Luxo Living. Code verified working 20 March 2019. Extra 30% off on full price and markdowns, enter promo code FF2019 at checkout. Valid on sale and full-price AW18 items only; excludes items labelled ‘New Season’, ‘Permanent Collection’ & ‘Exclusive’. EXTRA 10% OFF on your order including sale items at TM Lewin, enter promo code AUAGLE17 at checkout. EXTRA up to 10% OFF on Getaway, Elevate, Freedom and Business fares on domestic flights using promo code GPR26 at virginaustralia.com. EXTRA $25 OFF when you spend $150 or more using voucher code WINE25 at Wine Market. Extra 10% OFF private labels when you quote voucher code BARGAINPL10 at checkout. Min. spend $99. Selected styles and colours listed. Subject to terms and conditions. Cannot be used with any other code or offer. EXTRA $20 OFF for new customers on their first purchase when you quote voucher code 20NEWBIEAFF at checkout. plus get updates on latest offers, weekly specials, and promo codes. Extra 10% OFF on ICONIC Exclusive brands like Spurr, Atmos&Here, Dazie, Double Oak Mills, H-Wood & Staple Superior & more , when you quote voucher code AFFPLAPR at checkout. Min. spend $99. Selected styles and colours listed. Subject to terms and conditions. Cannot be used with any other code or offer. EXTRA 20$ OFF with 200$ minimum spend with coupon code STYLETREADMAR19 at checkout. This voucher is valid on full priced orders only. Not applicable on gift cards. Minimum order amount pre discount: $200 AUD incl. GST. Get Free Shipping to Australia or New Zealand on your first order over $50 at Canningvale using coupon code FREESHIP. (excluding furniture and mattresses). Save extra Up to 40% OFF on hotels around the world at the lowest prices plus FREE Breakfast at Accor Private Sale. Save extra 55% off on denim using promotion code DENIM55 at Nastygal.com. Save extra 6% off on gift cards using voucher code SE18AR6 at Angus Robertson. Save extra on your accommodations at various destinations such as Melbourne, Sydney, Brisbane, Adelaide, Surfers Paradise, Sydney, Singapore, Southbank, Tokyo and more. And top countries such as USA, Canada, UK, France Spain, Italy, Germany, China, Ireland and Netherlands. EXTRA 30% OFF your next purchase on full priced items, use promotion code FB30 at checkout. EXTRA $10 OFF on first order 50$ or more on full priced items with promotion code WELCOME10 at checkout. Extra 10% OFF on your order sitewide (No minimum spend), enter promo code MERCF10 at checkout. EXTRA 5% OFF on orders over $50 with promo code 5BUB19 at Queen Bee maternity. EXTRA 10% off on your policy, enter promo code CTI2018 at check out to get discount. Extra 10% off on your next order plus free standard delivery, Use promotional code SAVE10 at checkout.. Extra $10 off when you spend $99 plus free standard delivery, Use promotional code 10OFF at checkout.. Extra 15% Off selected full price items on your first order with Shopbop promo code 15FORYOU. Save EXTRA 20% Off Storewide using coupon code YES20 at Fashionbunker.com. Get Free Shipping to Australia or New Zealand on your first order over $50 at Canningvale, enter coupon code FREESHIP at checkout. (excluding furniture and mattresses). Extra 10% OFF for the first order at svmoscow.com, use promo code 2018SVGUEST at checkout. Save extra $350 off + Cellphone Stand worth $34 with the Razer Phone 2 with promo code AFFRP2STAND at checkout. Get free shipping sitewide with a minimum spend of $20 using voucher code FS7824 at checkout. EXTRA 20$ OFF on your order, enter promo code BDAYGOODIES20 at check out at Speedo.com.au. This code has no known expiry date and may expire any time soon. (Must be a registered user and logged in at the time of using - 1 time per user). Extra $20 OFF when you spend $100 at Reidcycles using discount code FREE20. Save extra 5% off on your orders with coupon code TNMF5 at checkout. EXTRA 5% OFF on your next purchase at MacarthurBaskets with promo code My5%off at checkout. Get the cheapest item for free when you add 2 items to your cart using coupon code APRIL241 at nudebynature.com.au. Save extra 10% off on your order using discount code MF SOFTBOARDS at checkout. Save extra 10% off Sitewide orders using discount code CF10-JX348927B at checkout. Save extra 5% off on web hosting using promo code HostAdvice at checkout. Save extra 5% off on minimum order over $50, using discount code FIVER at checkout. Does not apply to sale items, bundle deals or gift cards. Save extra 15% off on bundle deals on orders over $500 using discount code BULKVIBES4LIFE at checkout. Save extra 10% off on Party range apparels using discount code PARTYBOY at checkout. EXTRA 10% OFF sitewide, when you enter coupon code 10POFF at checkout. EXTRA 5% OFF sitewide, when you enter coupon code OFF5P at checkout. Save extra 15% off on your order when you spend over $50 using discount code 15OFF at checkout. Extra 15% OFF on your next purchase using coupon code BOUTI12 at checkout. Discount level varies depending on airport, type of parking, availability and dates. EXTRA 10% OFF on Site wide with promotion code LIFEWORKS10 at check out at Sanity. 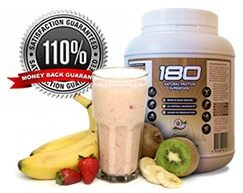 EXTRA 10% OFF on Sitewide with a min spend of $150 with promotion code SDC2IB7830 at check out at Sanity. Extra 5% OFF for all orders including sale items with coupon code CFFIVE at Pharmacyonline.com.au. Save Extra $10 OFF on minimum order over $100 or more using discount code WELCOME at checkout. Save Extra 5% OFF on minimum order over $200 or more using discount code NSI5 at checkout. Save Extra 10% OFF on minimum order over $300 or more using discount code NSI10 at checkout. Save Extra 15% OFF on minimum order over $500 or more using discount code NSI15 at checkout. Save extra 10% off on any tour with coupon code TG2019SPRING at checkout.